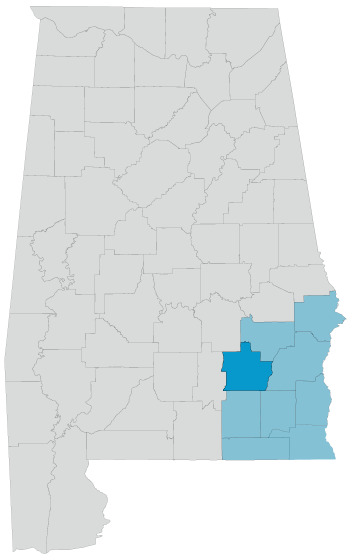 Pike County is located in the southeastern part of Alabama, also known as the Wiregrass area. Pike County includes the cities and towns of Troy, Brundidge, Banks, and Goshen. The largest city, Troy, is home to Troy University which enrolls 18,440 students from all over the world. According to the most recent census, 32,899 people currently reside in Pike County and it is continuing to grow.